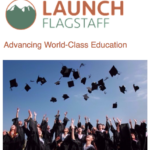 The mission of LAUNCH Flagstaff is to advance a culture of world-class education for every child in Flagstaff from cradle through career. 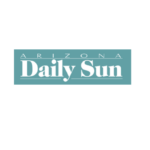 For the fourth year in a row, Arizona voters have ranked education the top issue facing the state of Arizona, according to an annual survey conducted by Expect More Arizona, a statewide nonprofit, nonpartisan education advocacy group. Among other state issues, such as immigration and border issues, taxes and healthcare, education earned the top ranking of the 600 statewide voters surveyed. LAUNCH is currently focused on tackling early literacy, with an eye toward improving third grade reading levels. 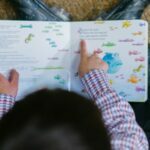 To do that, they’ll work to improve literacy in early years, from birth through age eight. Recently, LAUNCH Flagstaff was awarded Acceleration Zone status by Read On Arizona, which will allow them to closely monitor literacy data and identify strategies for improving reading skills. The signs that autumn is coming to a close are all around us today, from the chilly overnight low temperatures, the faded leaves blowing in the wind, and the costumed kiddos looking for treats. The signs of our progress in advancing world-class education in Flagstaff aren’t always so obvious. That’s why I hope this monthly email is useful to you as we highlight just three of our advances in the work of our collective impact partnership. This month I am pleased to share with you the amazing work of our partners, the renewal of broad community support for the infrastructure of LAUNCH Flagstaff, and a sneak peak of the Flagstaff premier screening of the documentary film Teaching in Arizona. The latest edu-political issue to surface is the revision of the Arizona science education standards (read-on for more). Because the months ahead, though the November election are likely to be filled with more issues like this, I urge you to stay informed and stay engaged. Our children are counting on us. 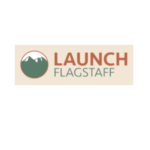 March may have been Flagstaff’s time for a spring break, but many of the partners of LAUNCH Flagstaff were hard at work advancing world-class education for every child from cradle through career. Read more below about the progress we’ve made over the past month.